We now offer the finest stationery from the finest craftsmen: Cranes(R) Watermark Bond. Choose one or more imprint options including: blind-embossed (without ink), foil-stamped or standard litho printing. Papers are available in various weights, textures and sizes. Pricing based on 1000 sheets, 8-1/2" x 11", Cranes 24 lb Bond in Ivory. 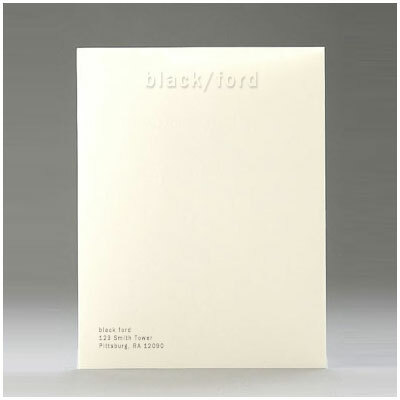 Pricing includes one color litho imprint. Contact us for other options. Setup charges apply; please contact us for details.